Which Foods Can I Eat with Invisalign? The famous phrase, “You are what you eat,” is very true when it comes to nutrition. The phrase, unfortunately, never considered Invisalign. Indeed, this high-tech and minimally invasive procedure does have rules on when, how, and what you should do to keep the treatment on track. Perhaps the most common question is “Can I eat what I want with Invisalign?” The short answer is no. The long answer, according to Walker Orthodontics, is more complicated. So what foods can you eat with Invisalign? Invisalign is designed to straighten teeth with pressure to push them into position. It follows, then, that you don’t want your teeth shifting around while you eat. The most important part about eating with Invisalign is that you MUST remove your trays before you eat. Eating can damage the Invisalign trays and then you’ll have to start all over. Smoking, alcohol, and gum are also big no-no’s: the residue from these items get stuck on your tray, and when put back on can add a yellow tint to your trays and to your teeth. Getting away from the terrible trio of items to avoid ingesting, it is worth mentioning again that you should never eat with your Invisalign trays on. Let’s bring it around to a more promising note: what can you eat while receiving Invisalign treatments? According to Walker Orthodontics near Groton, MA, hard foods and candy are fine as long as they aren’t hard enough to push your teeth out of position. If you don’t normally eat greens and fruit, now might be a good time to change your diet. Not only are they soft, they are nutritious! Pastas are completely acceptable, but make sure to pair them with something like the greens mentioned above. Breads that aren’t hard are delicious and edible while receiving Invisalign treatment from Walker Orthodontics near Groton, MA. Foods aren’t the only things you ingest: drinks can be just as important. It’s recommended that you avoid sodas and coffees, but a cup here and there is fine. Drinking plenty of water washes away bad bacteria, especially fluoridated water. Contrary to popular belief, drinkable alcohols don’t clean bacteria away. Protein drinks are fine in moderation along with good brushing. Protein provides bacteria with a slower food supply, so brushing after drinking is very effective in driving any leftover proteins away. Two other types of food should be avoided: spicy and icy foods. Ice and ice cream can break down teeth, either through grinding or cold shock. Grinding happens when hard foods (like Ice) are chewed on. Ice and ice cream can also cause cold shock. You may have heard of this phenomena, but the ultimate problem is that cold foods can actually crack teeth. It could be small ones or larger ones, but both can interfere with Invisalign treatment. Spicy foods are not off the menu, but they are often paired with acidic foods. Not only can the acidic sides break down teeth and gums, but most people pair it with something like milk or soda. Soda can cause even more damage by feeding bacteria. Milk does build bone mass, so you shouldn’t be afraid to drink it alone. With good brushing techniques, milk will actually help rebuild tooth imperfections and make Invisalign a little easier. So to conclude: do not smoke, drink alcohol, or chew gum. Always remove your Invisalign trays before eating. Stay away from acids or pair them with food that are base. 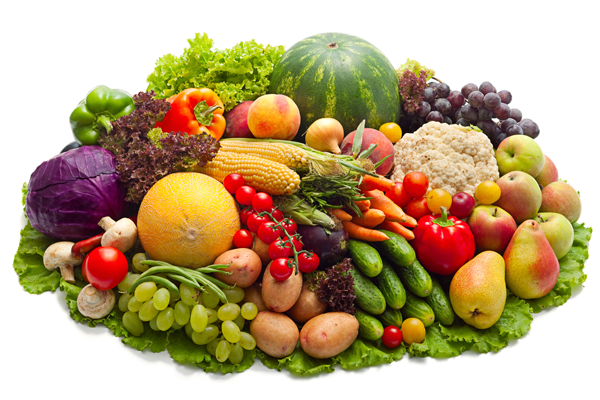 Greens, fruits, and meat are fine, as are soft nuts and soft but not sticky candies. Pasta on its own is fine, but adding sauce requires something to counter the acidity. Soda and coffee are okay to drink once in a while. Water, especially fluoridated, is great for destroying and washing bacteria out of your mouth. Milk is great, but stay away from icy and spicy dishes. These guidelines will ensure your Invisalign treatment at Walker Orthodontics near Groton, MA doesn’t get interrupted. The more food-conscious you are, the faster your treatment will go. Smile strong and work on!